Sometimes, high-risk means high-reward. Dare to apply to these dangerous jobs. Dangerous jobs are not for the faint-hearted. Every industry has its share of dangerous jobs, though the danger level varies widely. For the typical office worker, a paper cut might be the worst injury you’re potentially up against during the course of the day. Sure, it can sting like a witch with a B, but for those who don’t work within the safe confines of a cubicle, there can be much more hazardous—and even fatal—injuries you might face on the job. People who work in these types of dangerous environments are more susceptible to workplace accidents, including overexertion, roadway incidents, and slips, trips, and falls, which can result in everything from some bad bruising to breaking a limb to the worst case scenario: losing your life in the line of duty. Make no mistake: These jobs are not for the faint-hearted; they’re for people who like to live life on the edge, aren’t afraid to get a little dirty, and will risk it all for a job well done. Think you have what it takes? Logging workers have the most dangerous job of all, seeing 135.9 fatal injuries for every 100,000 workers, with the most common accident being struck by objects. Fishers and related fishing workers follow behind with a fatality rate of 86 per 100,000 workers. So why would you choose a high-risk job over a cushy desk job? Because certain dangerous jobs will pay you big bucks to take some big risks. The highest-paying dangerous jobs on the list include aircraft pilots and flight engineers (No. 3), hauling in an average of $105,720 a year, followed by electrical power-line installers and repairers (No. 15), making a yearly average of $68,010, and farmers, ranchers, and agricultural managers (No. 8), earning $66,360 a year, on average. Find all logging jobs on Monster. Find all fishing jobs on Monster. Find all aircraft pilot jobs and flight engineer jobs on Monster. Find all roofing jobs on Monster. Find all refuse and recycling jobs on Monster. 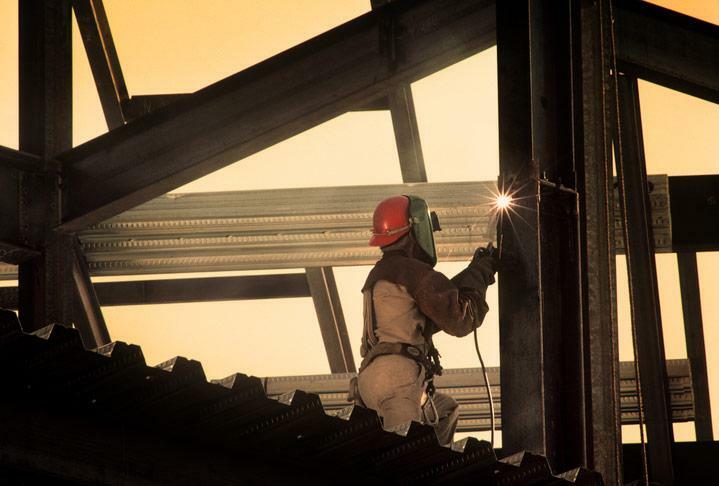 Find all iron and steel jobs on Monster. Find all driver jobs on Monster. Find all farming jobs on Monster. Find all construction and extraction jobs on Monster. Find all agricultural jobs on Monster. Find all grounds maintenance jobs on Monster. Find all mechanic, installer, and repairer jobs on Monster. Find all construction jobs on Monster. Find all police jobs on Monster. Find all electrical power line jobs on Monster. Find all maintenance and repair jobs on Monster. Find all taxi and chauffeur jobs on Monster. Find all landscaping jobs on Monster. Find all telecommunication jobs on Monster. Find all athletic jobs on Monster. Find all operating engineer jobs on Monster. Find all electrician jobs on Monster. Find all industrial machinery jobs on Monster. Find all paint jobs on Monster. Find all heat, air conditioning, and refrigerator jobs on Monster. When it comes to finding a job, the process can be terribly cutthroat, so “playing it safe” might not be your best option. Want to take your job search to the next level and get a leg up on your competition? Join Monster for free today. As a member, you can get job alerts emailed right to your inbox, which cuts down on the amount of time you'd spend combing through ads. Additionally, you can upload up to five versions of your resume—each tailored to different types of jobs that interest you. Recruiters search Monster every day looking to fill top jobs with qualified candidates, just like you. So take the risk (there is no risk), and let Monster help you find a good-paying job.